Krizman’s Sausage is family-owned and operated right here in Kansas City, KS, in the historic Strawberry Hill area. Since our company opened its doors in 1939, we have treated every customer as if they were a part of our family. As a result, we commonly see many generations of families enjoying our products year after year. Other companies may offer similar products, but our premium handcrafted sausages come with a guarantee of quality. Other larger companies may make sausage as an afterthought to use up scraps of meat. At Krizman’s, all we do is manufacture sausage, so each batch is made with only the finest cuts of meat and the freshest ingredients. around just to get the mouth-watering sausages. Joseph Krizman Jr. bought Grisnik and Krizman in 1972. 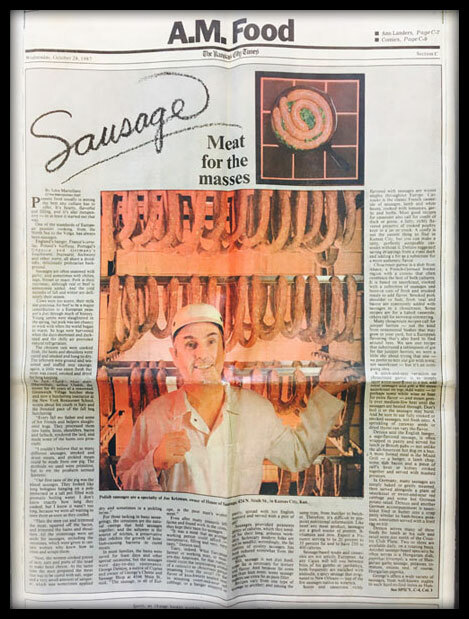 Realizing that small corner grocery stores were a dying business, he razed the old store and built our current plant, renaming it simply “Krizman’s Sausage”. Focusing on wholesale business to restaurants was his main goal. Soon we had some of the best restaurants in Kansas City, particularly BBQ restaurants, putting our sausages on their menus. 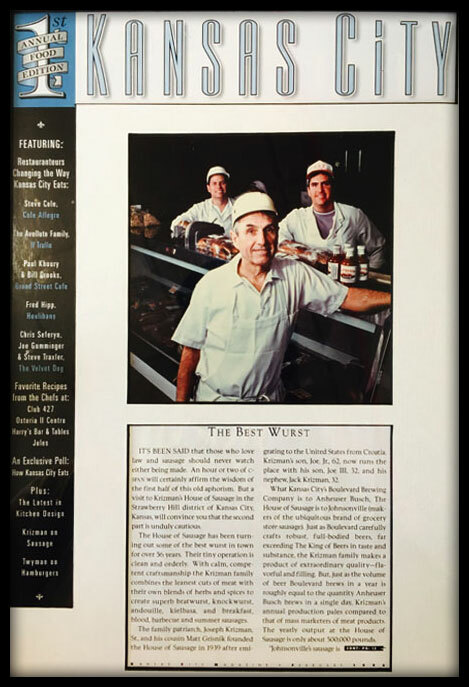 Quickly realizing we could not meet the delivery demands of all of our accounts we started using distributors, meat companies, and food brokers to get our products to all of our consumers throughout the Midwest. 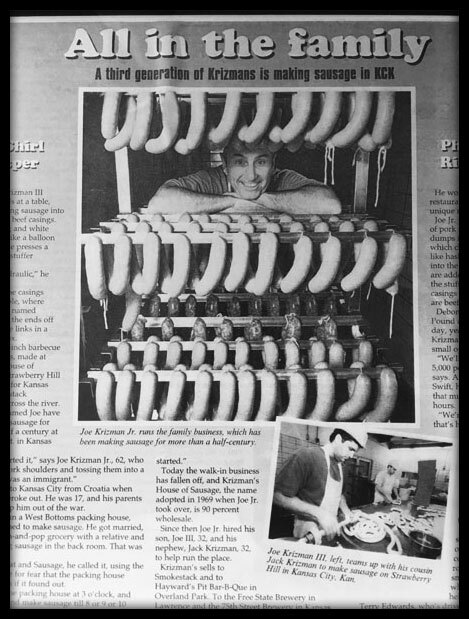 Today Krizman’s Sausage is owned by Joseph Krizman III. Realizing that popularity in television cooking shows, bbq competitions, and social media has fueled the home consumer to produce restaurant quality food, we have once again come full circle and put an emphasis on the retail market. We have just completed a major expansion of our retail area with a complete array of smoked and fresh sausages available. We also offer other ethnic foods as well as bbq rubs and seasonings.